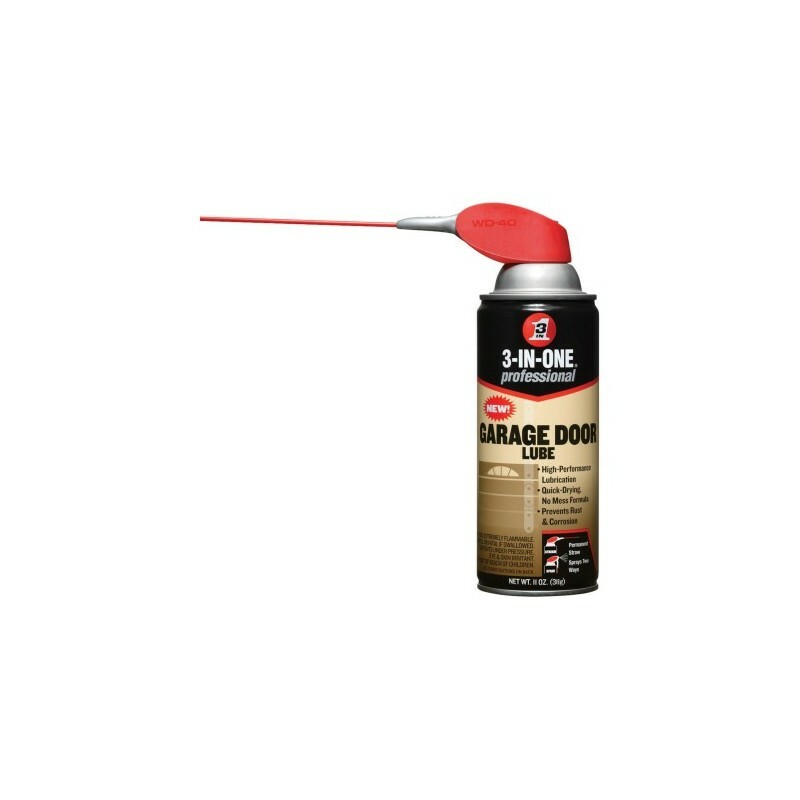 Use this high-performance lubricant to help maintain the operation of garage doors. Regular application to hinges, door tracks, chains, pulleys and latches prevents rusting, corrosion, sticking and squeaking. Formula dries quickly and doesn't leave a messy residue.